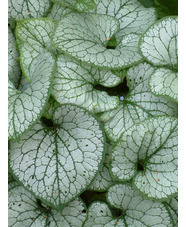 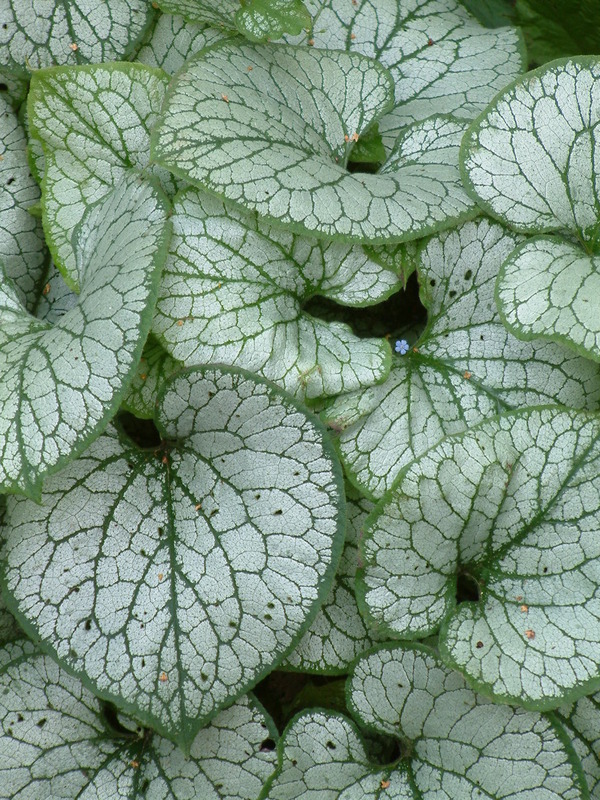 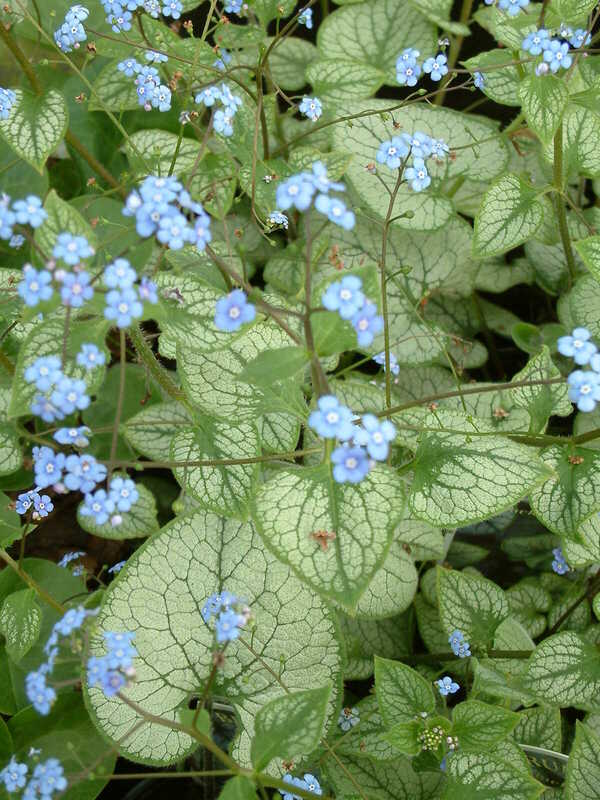 Heart-shaped leaves almost totally silvered, enhanced with a fine network of green veins and edged with a narrow green rim, form a setting for sprays of blue forget-me-not like flowers throughout spring and early summer. 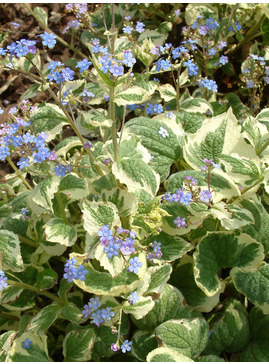 They are followed by new, much larger basal leaves which make dramatic contrast with green-leafed plants until autumn frosts if grown in part-shade and good soil. 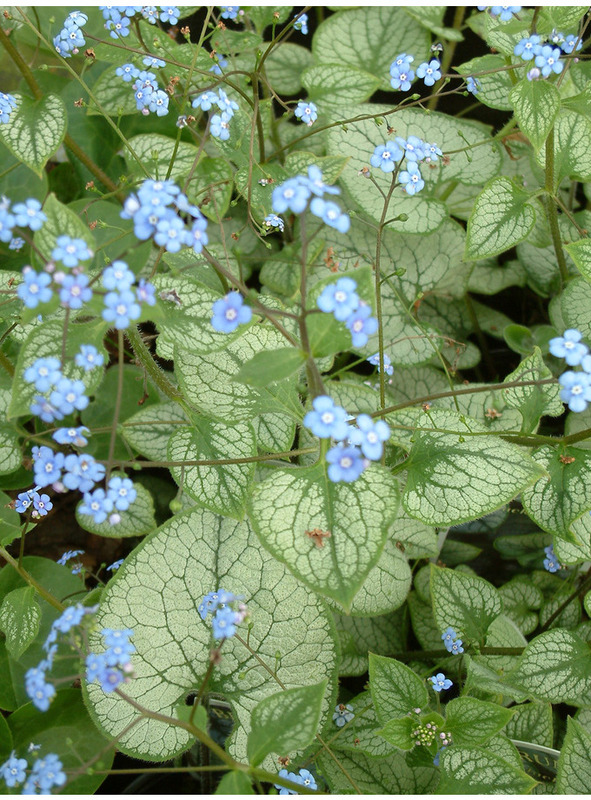 Lighting up a very shady spot under a fir tree just now (March) beautifully.